Jammy Jams is a fun, modern twist on lullabies created by Jeff Bradford. Jeff was a musician at a young age and received his first drum set at the age of 5. He played drums for many years all over DC and Baltimore and eventually even performed throughout the United States playing club tours. Jeff played drums for many bands over the years including Tribal Voice, landspeedrecord!, Onespot Fringehead and most recently toured the US and Canada with Hollowboy. In 2010 though Jeff and his wife welcomed their first child and a new journey in his musical career began. Jammy Jams was born and over the course of 6 months Jeff and his friend Tim Philips recorded and arranged lullaby versions of songs originally performed by bands and artists like Dr. Dre, Run DMC and lady Gaga. Jeff's goal was to create lullabies that would not only provide soothing, calming music for baby and mom or dad, but would also also entertain parents during those late night feedings...and that is just what he did. In October of 2011, Jammy Jams released 3 albums and currently have 9 albums in their growing catalog. Ever since my children were babies they loved music and every night they would fall asleep listening to soothing lullabies. One day while we were at Baby's"R"Us my husband and I stumbled across an awesome lullaby album that featured only the instrumentals of a very popular musical groups songs. We bought the CD and it not only became one of my children's favorite CDs to fall to sleep too but also mine and my husbands. When I heard that there was another company creating similar CDs I just had to try them out. My children are now 6 and 7 and don't fall asleep to music anymore but we do put on music throughout the day while we are doing homeschool work, playing or having quiet time. 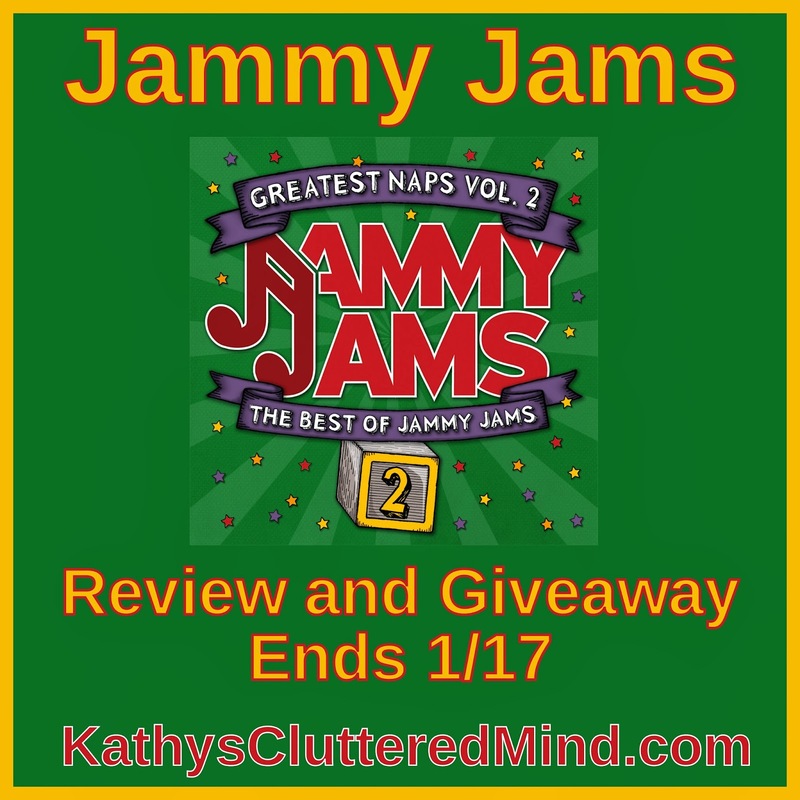 We reviewed the downloaded album of "Greatest Naps, Volume 2: The Best of Jammy Jams". This album is a compilation of new and previously released Jammy Jams songs covering multiple genres of music. All of the songs are instrumental versions only and have a wind up music box type sound to them. There is no singing just soothing sounds. I loved that my children can easily recognize many of the songs on the album. I would even catch them singing or humming along every now and then. The album introduces children to multiple genres of music as well as many types of instruments which is an awesome added bonus for us homeschool moms who are always looking to turn everything into an educational lesson. The soothing songs are created using a vibraphone, marimba, xylophone, piano, blocks and more (more educational lessons). Whether you are a classic hip-hop or alternative music fan or a connoisseur of rock, hair bands, or pop music, you and your children will enjoy this collection of lullaby renditions from a variety of musicians such as Daft Punk, Miley Cyrus, Fugees, Oasis, and Def Leppard. We loved Jammy Jams. it was great for car rides, quiet time and music lessons. Hysteria and Send Me An Angel were my favorites. The children couldn't choose they loved them all. Be sure to visit the Jammy Jams website to listen to song samples. You can also listen to samples on the Jammy Jams YouTube channel (below). You can purchase the Jammy Jams albums directly off their website. There are 9 CD’s in the collection. Albums are available on CD, iTunes and Digital Download. CDs are $14.99, iTunes albums are $9.90 and Digital Downloads are $8.99. They can also be purchased on Amazon. 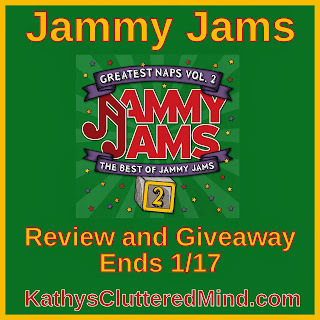 Jammy Jams has graciously offered to giveaway a DIGITAL DOWNLOAD of the Jammy Jams album "Greatest Naps, Vol. 2: The Best of Jammy Jams" set to one lucky reader. Winner will be e-mailed a download code for the album. Only the first entry is mandatory. Other entries are optional and give you extra chances. This giveaway is not affiliated with Facebook in any way. The winner will be posted on the blog and will be emailed. Winner must reply within 24 hrs with their contact information or another winner will be chosen. Open to US only! Prize will be mailed via the company.